It’s no secret that waking up earlier gives you an edge on your productivity. Maybe your job or schedule forces you to wake up earlier. Or you may just be looking for ways to kick your habit of sleeping in and wasting the day. If you think you have bad sleeping habits, you’re not alone. According to the CDC, 1 in 3 American adults don’t get enough sleep on a regular basis. But, this doesn’t mean your chronotype — which essentially determines if someone is a night owl or an early bird — is set in stone. 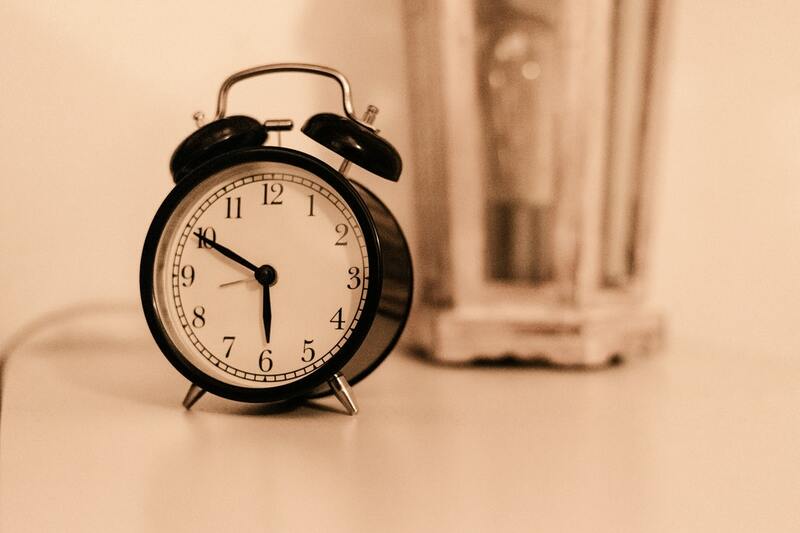 While genetics do influence your chronotype, research reveals that there are ways to adjust your chronotype and transform yourself into a consistent early riser. Becoming an early riser means you need to invest in high-quality sleep, develop a consistent routine, set clear goals, as well as take steps to optimize your energy throughout the day. It takes a good amount of work from your end, but there are a ton of benefits to changing your habits and becoming an early riser. With better sleep, a consistent routine, and energy, you’ll find yourself living a healthier and happier lifestyle, procrastinating less, and being more attentive to anticipate and solve problems. Before you sleep, make sure to eat a carb-rich snack. Certain studies found that snacks that are high in carbs can help your body reset its internal clock. Examples of healthy bedtime snacks include low-fat milk and cheese, a peanut butter sandwich, or yogurt with granola sprinkled on top. These bedtime snacks contain amino acids that help the body produce serotonin, which aids the brain in the sleep process. Plus, making sure you eat enough will keep you from staying up at night with a growling stomach. Taking a warm shower slows the metabolic functions of your body and helps it enter into a state of drowsiness. This state of drowsiness is due to the drop in body temperature that happens once you leave the shower or a hot bath. When you look at your phone, your body releases cortisol. This hormone prevents you from falling asleep and getting a good night of rest. It can be tempting to check your email or any notifications on your phone before you sleep, but this is a common reason for poor sleep quality. It’s an addictive habit that can leave you scrolling on your phone for hours when you initially wanted to sleep. When you expose your body to blue light, your body suppresses melatonin levels by up to 22%. Melatonin handles your sleep-wake cycles, and the more you suppress these levels (without even knowing it), the more difficult you make it on yourself to fall and stay asleep. Light bulbs that are under 3000 Kelvins and 450 Lumens lead to higher quality sleep. Lowering the lights before you’re ready to call it a day adjusts your body and sends signals to your brain that it’s almost time to sleep. When you’re ready to sleep, ideally you’d want the room you are sleeping in to be between 60 and 67 degrees Fahrenheit. As you sleep, your body starts to lower its temperature naturally. Putting yourself in a cooler room allows your body to stimulate sleep and cycle through the sleep stages. One study found that people with a consistent nighttime routine gain an extra hour of sleep, especially for children. It’s recommended to try screen-free activities to avoid blue light exposure - try reading or meditating instead! If you get into a good habit of establishing a consistent nighttime routine, you should do the same for your morning. Place goals for yourself to complete in the morning to help you rise out of bed. Setting smaller, specific and well-defined goals for you to take on makes it twice as likely that you’ll stick to them. During sleep, your body cycles between REM and non-REM sleep in 90-minute intervals. Set up your alarm so that you wake up during the REM stage. 7 in 10 Americans had a more restful sleep on sheets with a fresh scent, according to a poll by the National Sleep Foundation. Laying in bed all day messes up the signals you send to your body. Sleep experts say that when you hang out in bed often, your body associates in-bed time with awake time. You can develop long term tolerance towards caffeine when you continue to let coffee interfere with your natural cortisol levels. Natural cortisol is your “awake” hormone. So, cut out the coffee when you wake up to rebalance these hormone levels. It’s optimal to pour a cup of coffee around 10 AM, when your body has already awoken naturally. Research shows that reduced natural exposure to daylight disrupts our internal body clock. Studies reveal that peppermint oil boosts your alertness and concentration levels. Use it in the morning to keep your energy levels high throughout the rest of the day. Hop in the shower after you wake up. Switch between cold and hot water temperatures to increase blood flow and stimulation. For the best effect, do this throughout 30-second intervals. Everyone is groggy first thing in the morning. If you want to gain an edge against the rest of the crowd, you need to get up as soon as you hit the alarm. Hitting the snooze button over and over again is risky. When you do this, you extend the normal 15- to 30-minute state of sleep inertia to 2 to 4 hours. Your body temperature is at its lowest when you wake up. Warm yourself up with some light exercise, like a simple 10-minute walk to prep yourself for the day. Chewing gum keeps your body and brain awake in the morning. The chewing stimulates your jaw muscles and the trigeminal nerve so you’re alert. You need liquids first thing in the morning, as your body is made up of 60% water. Drinking water after you wake up boosts your metabolism and energy. Studies show that self-acupressure can keep you alert and lower your levels of fatigue throughout the day. There are five points on the body where you can apply pressure: top of the head, the top of the back of your neck, on the back of your hands, just below your knees and the bottom of your feet. Taking a quick nap in the afternoon sustains your energy levels. Research showed that NASA pilots who took a nap were extra focused and felt 35% more alert when they returned to work. Exposure to natural light throughout the day will help you sleep better at night. The light sends signals to your internal clock when it’s time to go to bed. Research shows that a good amount of light exposure leads to 46 more minutes of sleep at night. Not only are mangos an amazing source of vitamins and flavonoids, but they are also thought to help cure insomnia. Mango contains the substance linalool, which can regulate stress levels and help you fall asleep easier. Studies show that writing down the things you are grateful for can help you sleep comfortably at night. Add this as part of your nighttime routine by keeping a notebook and pen next to your bed. A memoir of a patient with ankylosing spondylitis revealed that 10 minutes of laughter let him have two hours of pain-free sleep. Ankylosing spondylitis is a form of arthritis that primarily affects the spine. Becoming an early riser is a process you need to work at throughout the day and the hours leading up to when you go to bed. While the process will look different for everyone, the key is to find what works for you and helps you feel more alert in the morning. Reduce stress and lower the temperatures in your room to help yourself fall asleep faster, rise earlier, and beat the habit of sleeping in too much. Once you start getting the hang of your new routine and actions, you’ll be set on becoming an early riser and making the most of your day.